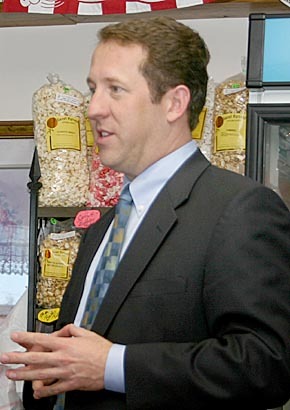 Current “cap-and-trade” energy legislation, now pending before Congress, would kill jobs and hurt agriculture, according to Third District Congressman Adrian Smith. 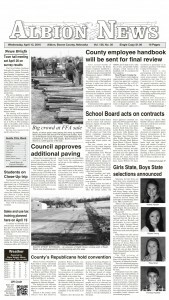 He met with about 15 constituents at Julie’s Restaraunt in Albion Tuesday evening, Feb. 16. His primary message was that cap-and-trade would hurt both rural economic development and agriculture at a critical time.